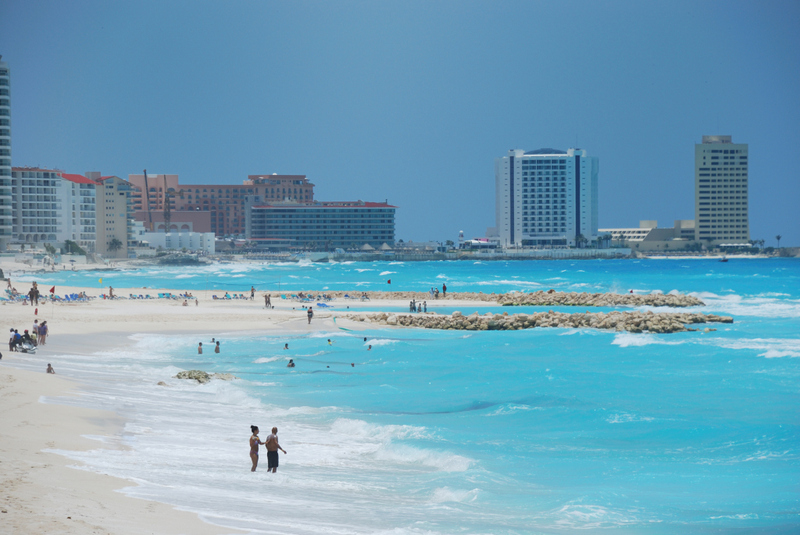 If your group is looking for a world-class beach vacation that won’t break the bank, then consider heading to Mexico. Yes, you will need a passport but there is no need for Visa, and most beach destinations are just a short flight away from many U.S. cities. Most beach and resort destinations in Mexico are safe and have a well-designed infrastructure for travelers, making it a breeze to reach your destination and find tourist-friendly assistance and amenities everywhere you go. If your group is heading to Mexico for a beach vacation, then these destinations are ideal for their affordability, beauty, and attractions. This beautiful beach destination has a small-town, colonial feel, with mountains surrounding it, and it offers a variety of land and water activities such as parasailing, scuba diving, and snorkeling. For fans of great food, Puerto Vallarta has fantastic gastronomy and very affordable prices. Lodging ranges from really modest hotels suitable for student groups, to great, all-inclusive resorts for travelers wanting to be pampered. Groups can frequently find round-trip fare from many U.S. cities for under $300. If your group is looking for a small beach town full of good vibes and great activities, then consider Playa del Carmen. Located by Riviera Maya, Playa del Carmen has multiple hotels that can cater to groups affordably and safely. 5ta Avenida, the main street in town, has block after block of shopping, dining, and nightlife opportunities for groups of any age and budget. The beaches in Mazatlan are golden and beautiful. This destination can satisfy the craving for sun and fun for groups on a budget. It is not as fancy as other resort towns in Mexico, but it is certainly undergoing a revival. Old Mazatlan is charming, and it invites tourists to blend in with the locals. They can enjoy the bounty of seafood purchased at the local market and cooked for a fee by locals, whose main profit is the sales of beer to consume with your specially prepared seafood meal. The beaches of Mazatlan are best enjoyed by a younger crowd or travelers seeking simplicity. Groople has a dedicated team specialized in finding the best beach lodging for groups. Let us help you make your group trip a true success.